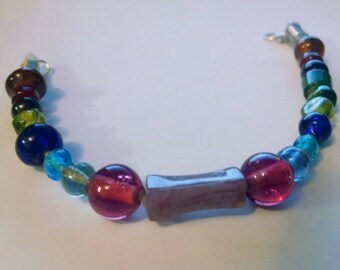 This handmade India Glass Bead Bracelet is like a clear spring morning. 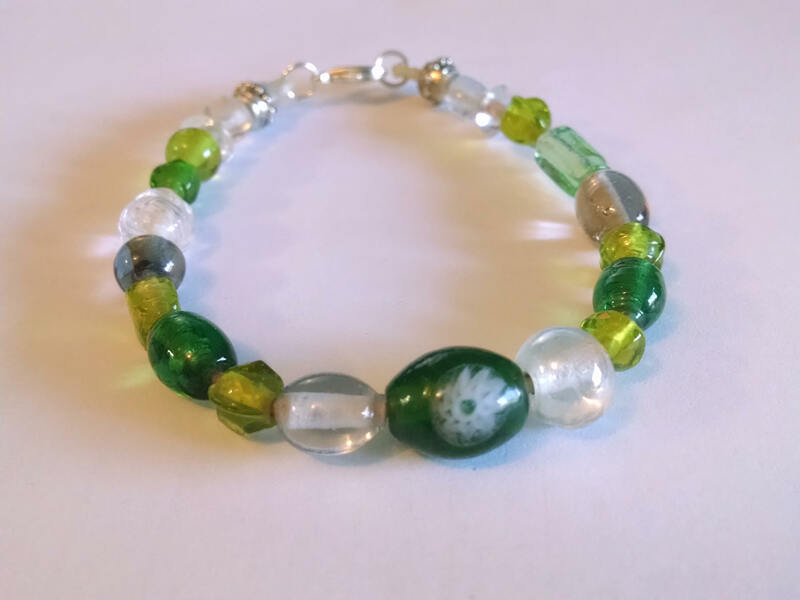 Beautiful shades of green and clear accent beads will go with any outfit - casual, office or a night out. Hot Air Balloon Necklace #6 | Orange | Glitter Pendant Necklace | Sparkly Charm | Gift | Woman Gift | Glitter Junk!